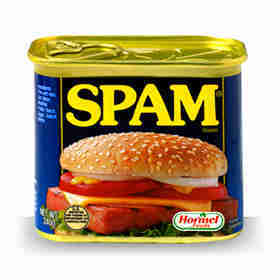 All emails being sent must abide by the CAN-SPAM Act from 2009. The purpose of the act is to fight against mass email spam. If you wish to send to 3rd party lists, you must find an ESP (email software provider) that allows it. HyperMail, for example, will be able to help you send bulk email and remain CAN-Spam compliant. One of the big issues is including the correct information pertaining to your business including the location. You must also supply an unsubscribe link in all your mass email campaigns. Anyone that wishes to unsubscribe to your emails must be removed from your list. When you send bulk email, the message should be short, simple and to the point. The goal is a high click through rate to your website. You do not make money off of the emails, but rather the traffic they generate to your site. The shorter the message also increases the likelihood that the email will not contain any spam keys. A few sentences describing your the purpose of the email will seem more personable and actually draw more attention. Always remember, the recipients do not know this email is coming to them. Follow these guidelines to help your bulk email marketing campaign. Here is a link to the CAN-SPAM Act federal policies.